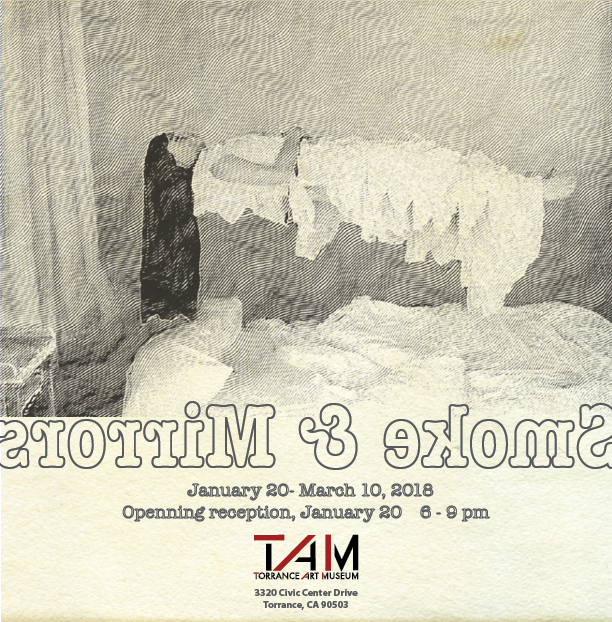 The artists in SMOKE AND MIRRORS investigate the nature of reality; how objects, memories, ideas come into being, how they persist and how they cease to exist. The works want to make ghosts appear in the flesh and, at the same time reveal their illusionary nature. These artists are magicians of their trade, oblique translators of both physical and virtual environments, recreating stages and props, histories and identities. By exploring the space between known and unverifiable realities, they shed light on the infinite vagueness of the anthropocentric universe.